All aboard for Thomas The Tank Engine at the Kentucky Railway Museum. 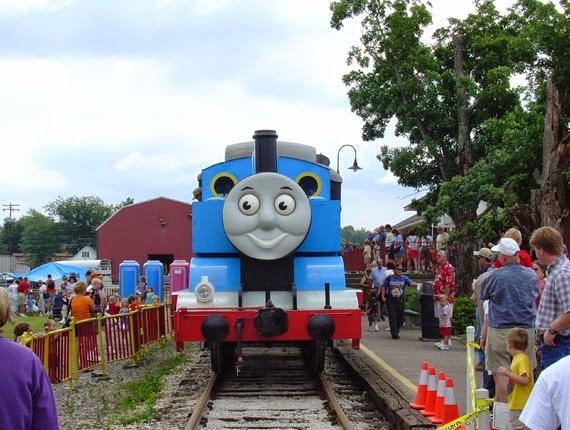 Your whole family will enjoy a Day Out With Thomas! This fun excursion takes place June 7-8 and June 14-15, 2014. TWO lucky readers will each win 4 tickets to a Day Out with Thomas*. See Official Rules. *Tickets are for the excursion on June 7, 2014, at 1:10pm only. The TWO lucky winners are Sarah Lewis and Jennifer Croasdaile!